Dr. Sebastian, who specializes in holistic chiropractic care, has been treating patients at Leucadia Chiropractic for over 23 years. He focuses on your health as a whole, not only getting rid of pain, but getting to the core of your symptoms. Dr. SeBastian is genuinely concerned with his patients health and well-being. We at Leucadia Chiropractic treat our patients to a warm, compassionate environment where individual treatment results in the best of quality care. The finest chiropractic, massage therapy, acupuncture, vitamin therapy, therapeutic laser, and exercise therapy is offered. Personal injury services are offered as well, such as taking cases on a lien basis and providing expert witness testimony. Dr. SeBastian is civically active, and is president of Encinitas Letip as well as being a member of several leading Encinitas organizations. Our bodies are made to be well, not sick. We need to take the stress off the body and nervous system by realigning the spine, make up for past nutritional deficiencies and if possible, alter life style. Then, and only then, will we achieve true health potential. My mission is to see that this happens to all of my patients. Whether you are an attorney seeking a Chiropractor on lien for your injured clients or you are an individual seeking a healthy alternative to pain reduction, please contact Dr. Sebastian today. 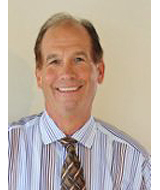 His office is conveniently locate East of I-5 on the southwest corner of El Camino Real and Encinitas Blvd. Travel East to El Camino Real and Leucadia Chiropractic is on the Southwest corner next to Sprouts. Take El Camino Real to Encinitas Blvd. and Leucadia Chiropractic is on the Southwest corner next to Sprouts.